Mix almond milk and strawberries in a blender. 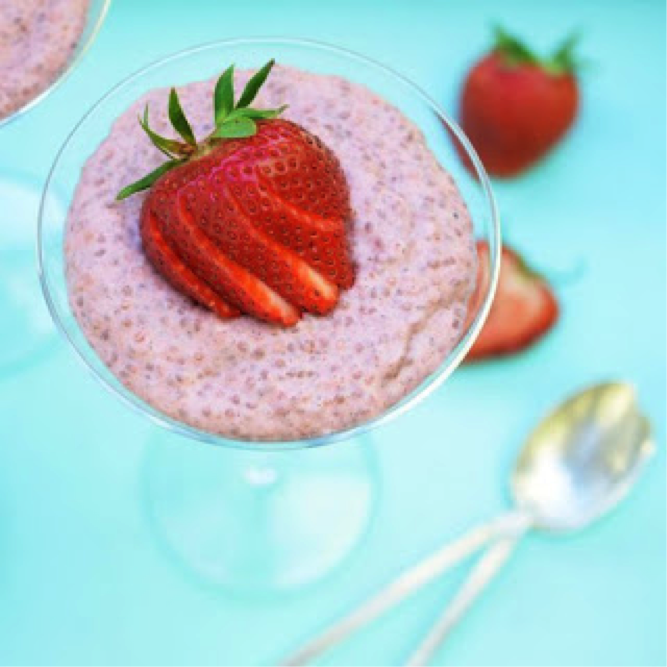 Pour mixture into a bowl and add maple syrup and chia seeds. Cover bowl with plastic film and refrigerate until set (approx. a couple of hours). Serve with a half handful of low FODMAP fruit on top.